The island town of Hvar is an important spot on the Dalmatian coast of Croatia thanks to the ancient architecture, fields of lavender, old vineyards, and gorgeous beaches. Hvar isn’t a large island, and most of the top tourist attractions are centred around the busy harbour. Beyond this area hotels and resorts become scarce, making it harder to decide where to stay in Hvar. From the quaint little villages nestled in the pine-covered forests of the island to the sandy shores of the neighbouring towns, there’s a lot to explore across this small space. 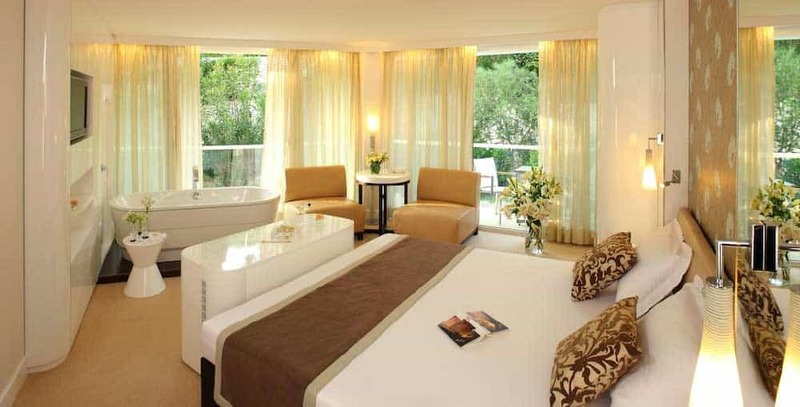 If you want luxury, Adriana Hvar Spa Hotel is the finest you’ll find in Hvar. This beautiful hotel is right on the harbour, giving you the intimate access to the main attractions. The hotel even has a rooftop terrace with stunning views of the surrounding sea and the bustling town. With recent renovations, Adriana Hvar Spa Hotel has also become one of the most luxurious destinations on the island. It now features premium spa services, including massages and beauty treatments. On top of the hotel, you’ll find a new multi-level garden terrace in the sky bar along with a dance floor and restaurant serving Mediterranean cuisine. Overall, this is one of the best hotels in Hvar for amenities, customer service, and comfortable beds. Due to these features, it also fills up quickly, requiring you to book as early as possible. 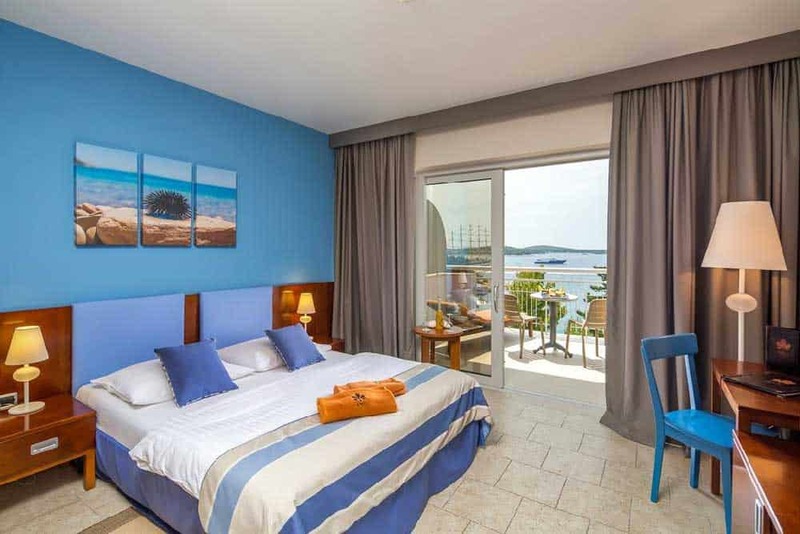 While other hotels offer views of the harbour, the Riva Hvar Yacht Harbour Hotel is located right on the main promenade, putting you closer to the action. 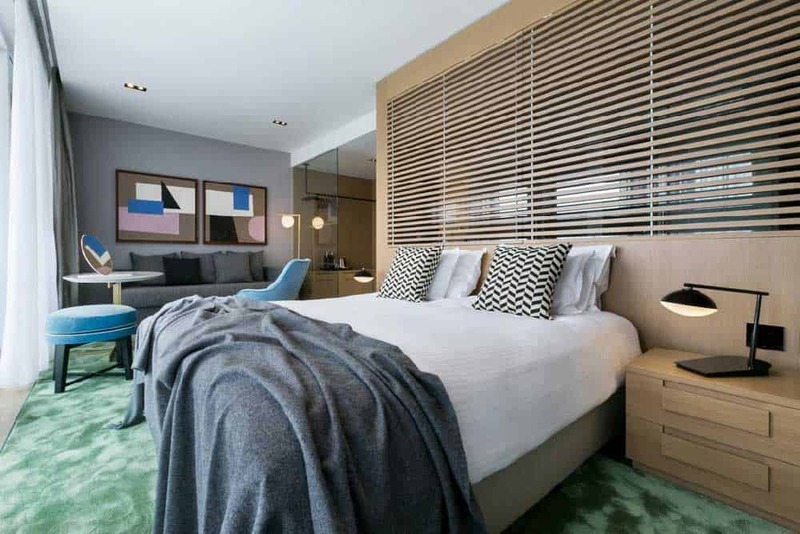 It’s a mid-range hotel with several unique features including rooms with their own individual themes, such as modern chic or retro art deco. The hotel doesn’t have its own pool, but guests of the Riva Hvar Yacht Harbour Hotel receive complimentary passes to use the rooftop pool at the Adriana Hvar Spa Hotel. If you don’t feel tempted to walk that far, you’re just minutes from the beach and the hotel does have its own spa services. Free breakfast and access to the promenade are the top reasons to consider staying here. The hotel staff can also help arrange fun local activities including diving, cycling, hiking, windsurfing, and even cooking classes. 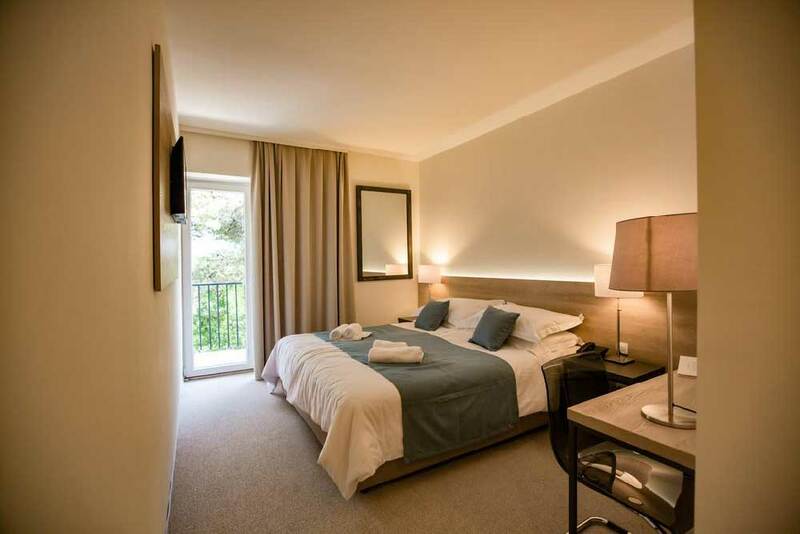 Recently renovated and built in a private pine grove, the Pharos Hvar Hotel is a popular option for travellers who want the best value. It’s further from town but the seclusion may be a welcome change after a long day of sightseeing. The rooms and lobby area of the Pharos Hvar Hotel stand out due to the eclectic design choices. 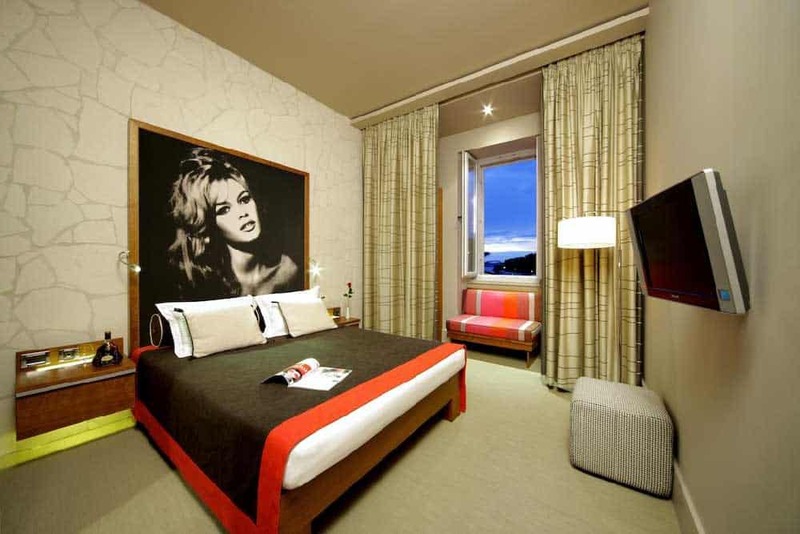 The hotel features a combination of minimalist modern design with pop art elements, such as tiles featuring comic book cut outs. Outside of the rooms and lobby, the style is more Mediterranean. Lounge by the outdoor pool surrounded by native vegetation or get a cocktail from the pool bar. It’s a great spot to relax and close enough to town that you can walk to all the Hvar landmarks within a few minutes. Built on a secluded bay just minutes from the main harbour, Amfora Hvar Grand Beach Resort gives you views of the sea and a little privacy. It’s a luxury hotel and resort with a sprawling multi-level pool. As with many of the hotels in the region, it has its own rooftop restaurant and spa services but the real highlight is the variety of eating options. When you stay at Amfora Hvar Grand Beach Resort, you have access to restaurants on the roof, by the beach, and near the pool. The hotel also provides large breakfast and dinner buffets, ensuring that you never leave the hotel with an empty belly. The hotel isn’t located in the centre of town, but it’s still within walking distance. The extra distance also helps make the hotel grounds a little quieter and more relaxing, whether you’re lounging by the pool or enjoying a meal from the rooftop restaurant. As a beachside hotel with some of the most affordable rates, Hotel Croatia is often fully booked ahead of each tourist season. It’s about a 10-minute walk from the port with grounds surrounded by a pine forest. Guests love spending time at the private beach. While Hotel Croatia isn’t the largest hotel in the area, the staff aim to make every visitor feel at home. If you have special dietary restrictions, unique requirements, or need help finding things to do, the staff are always quick to accommodate. The boutique-style hotel also has its own a la carte restaurant serving fresh fish and meat dishes and a great selection of Dalmatian wines. While it’s one of the lower-cost options, the hotel does offer premium suites with terrace or balcony views of the sea. Situated partially up the hill next to the beach, Aparthotel Pharia is encircled by olive trees, fields, and forest. You get a great view of the sea but the harbour and beach are partially obscured by the surrounding pines. To reach the town, it’s a 15-minute walk along the shore, which also provides access to numerous beachside restaurants and bars. The beach near Aparthotel Pharia is covered in pebbles and is one of the least-crowded beaches in the area. If you want sandy shores, the popular public beaches are just a few minutes further down the shoreline. While the hotel doesn’t have its own restaurant, it does have a coffee shop and bar. One of the main highlights of this affordable hotel is the garden terrace that looks out over the Adriatic Sea. At the western edge of the island, you’ll find Hotel Podstine. It’s a hidden gem built on an isolated bay. You get access to a private beach, allowing you to relax on a lounger without the constant sound of activity from the harbour. There are also a few other reasons to spend more time at the hotel, including the spa and wellness centre and private wine tasting. If you want to explore the surrounding area, Hotel Podstine offers private boat rentals. You can rent a boat and travel to the nearby islands of Vis and Bisevo to check out the famous Green and Blue Caves. The hotel also accommodates yacht owners. If arranged in advance, the hotel can prepare the yacht berth. For everyone else, there is a free shuttle service taking you to and from Split Airport. You can also rent bikes or scooters to help you get around the island. As the only hotel in the beachside village of Milna, Hotel Fortuna is a popular option for those who want to explore more of Hvar. It’s three kilometres from the main town, located right on the most visited beach area on the island. You get access to four unspoiled public beaches and a wide selection of water activities such as windsurfing and snorkelling. Due to the distance from the main harbour, you may find yourself spending more time at Hotel Fortuna. 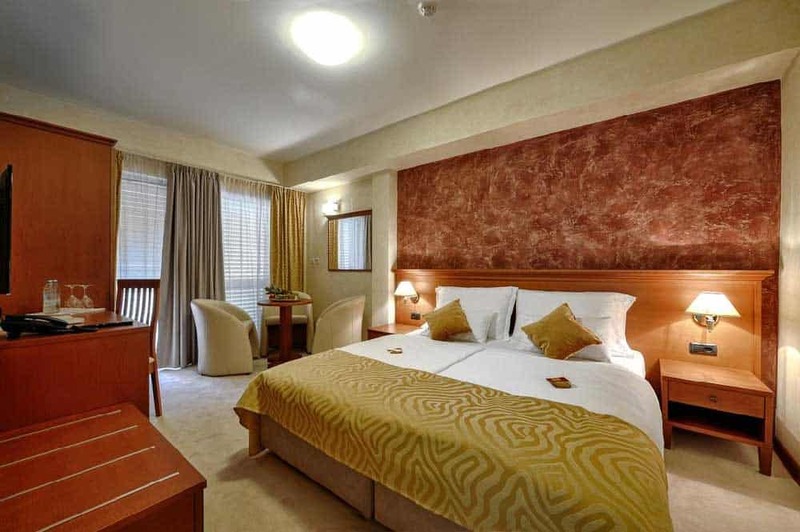 Luckily, the hotel has its own on-site restaurant and bar serving Dalmatian cuisine and standard Mediterranean dishes. Keep in mind that this is a family-run hotel. The rooms are nice but not as luxurious as the accommodations at some of the other spots. Instead of high-end furnishings, you get an attentive staff, seclusion from the busier parts of the island, and lower rates. On the northern side of Hvar, you’ll find the town of Stari Grad and the charming Hotel Antica. 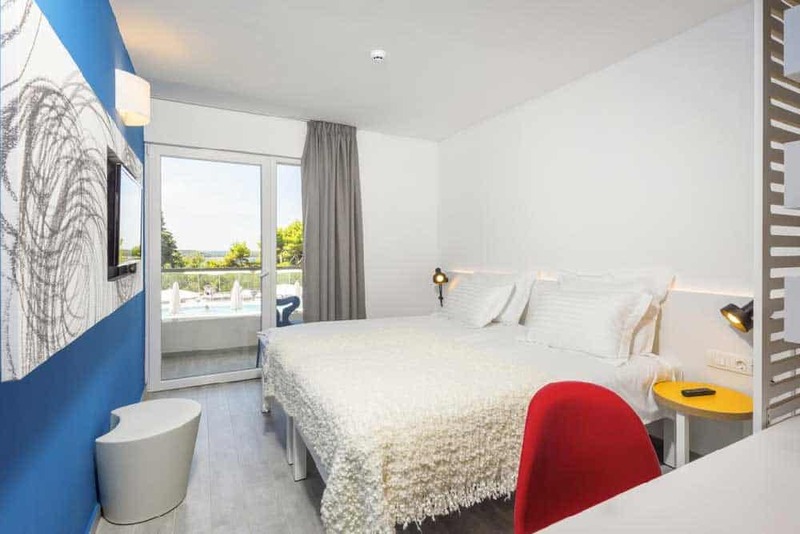 This small hotel offers a spectacular view of the Dalmatian coast while the convenient location allows you to see more of Hvar Island. When you stay at Hotel Antica, you get your choice of a buffet or vegetarian breakfast. 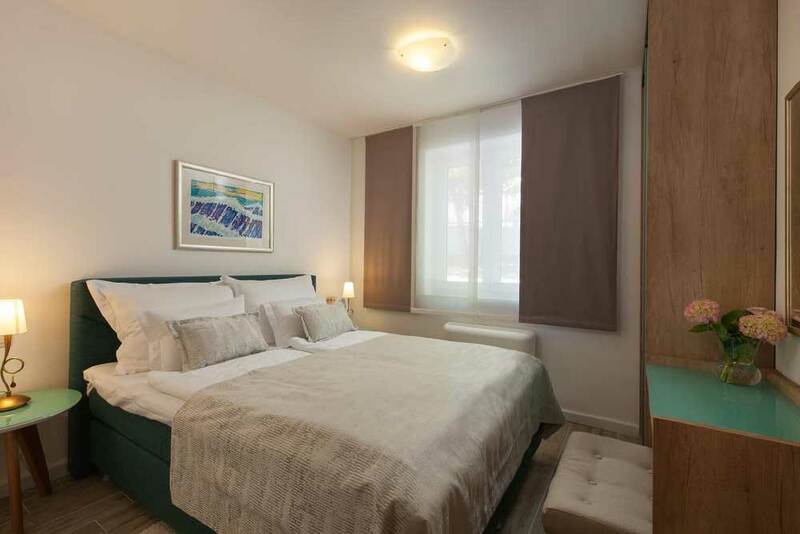 You’re also within walking distance of the quaint cafes and restaurants of Stari Grad. While the hotel is close to 11 kilometres from the centre of Hvar, it’s a quiet destination that provides a place to relax and enjoy your surroundings. If you want to go for a swim, the hotel is connected to a walkway that takes you to several different public beaches. The hotel also recently added a pool for those who prefer swimming in fresh water instead of the salty sea. Built on the western side of Hvar, Labranda Series Resort is one of the most secluded locations. The hotel is a short walk from the small village of Vrboska, near a cliff that looks out over the town of Jelsa. As this resort is further from the main harbour and popular beaches, Labranda Senses Resort tries to provide everything that you need to feel at home. You can spend your day working out at the fitness facilities and then relax at the wellness centre. The resort also provides access to tennis, table tennis, and mini golf. The only drawback is the need to take a shuttle or rent a scooter to travel to the old city centre in Hvar, as walking could take half a day.